Lionel Messi, Cristiano Ronaldo, Neymar, and many other players have been hogging the front pages of football newspapers for the better part of the last decade. They have been worshipped by fans for their brilliant performances on numerous occasions. At the same time, if one asks a football fan about Marta, Mia Hamm or Abby Wambach, we can confidently tell that they would have little to no knowledge about them. Marta is the greatest women's footballer of all time; she has won the FIFA women's footballer of the year award on five different occasions, same as Cristiano and Messi. 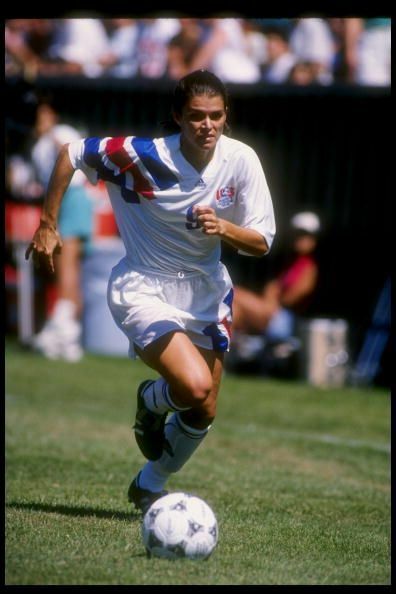 Did you know that Mia Hamm has scored 158 goals for the U.S National women's football team; an unthinkable record in the men's game and what is even more surprising is that she still does not hold the record for getting the most number of goals internationally; her former teammate Abby Wambach holds the record at 167 goals. It is quite a shame that Marta having scored 110 times for the Brazil national side is still being called 'Pele in skirts' even though the great Pele himself only has scored only 77 times internationally. There is a stark contrast in the mindset of the general public between men playing football and women playing football. The thought process that women are not allowed to play football or any other sport has been prevalent for a long time. I'll be the first one to accept that I don't have sufficient knowledge about the women's game and most people in today's society are in the same situation, but this has happened due to decades of superstitions and misunderstandings. Many countries around the world did not allow women to play football till very recently and some still abide by these medieval rules. Even when they allowed to play the game, so many restrictions are put on them, which makes you wonder what have they done in the first place for them to deserve such treatment. Marta's story on how she became the world's greatest female footballer is a moving one; she had to play with boys because of the lack of female football players at that time in Brazil, and she was taunted every day from boys because of the belief that this was a men's game. She could only play at a professional level with women at the age of 14 when she signed for Vasco da Gama; even in a well established footballing nation like Brazil, the women's game was shunned until the past few years. In all honesty, football is neither a men's game nor a women's game; it is just a game where all people, regardless of their gender or any other discriminating factor should be allowed to play. It is just a source of joy and nothing else. We are no one to decide who should be allowed to play the game or not. 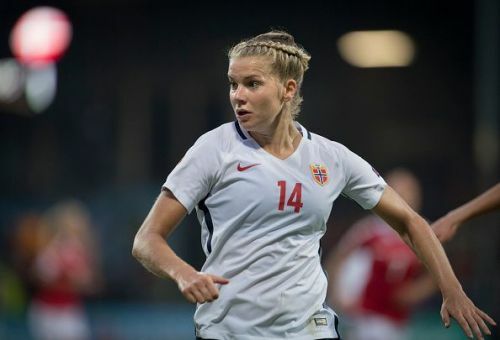 These were just problems at the grassroots level; women who have already established themselves as the world's best, still are subject to sexist remarks, Ada Hegerberg who was the Ballon d'Or winner for women in 2018 was asked to twerk live on stage by the host, taking away focus from her professional achievements. People are yet to separate the fact that they are professionals who have reached the prestigious position which they are occupying presently due to the untold amount of hard work which they have done and still are grossly objectifying and body shaming them instead of admiring their skills on the pitch. Then comes the problem of their salaries. Female footballers are grossly underpaid than men. It's a shame that the money which someone like Cristiano makes from one line said in an advertisement will be multiple times more than what women make running around a pitch for 90 minutes. T.V. companies contribute to this problem by not broadcasting women's football matches as much as that of men's. "Interest in the women's game is less than that of men " is one of the common excuses rolled out but the T.V. companies have to realize that interest will not develop without showing the matches in the first place. Also, people still tend to be of the mindset that female footballers cannot contribute anything meaningful to the game. The truth is that what happens when a Pep Guardiola type genius comes to prominence from their game? Or what if one has already arrived? Will people then question their contribution to the game or will they be singing their praises? I hope the latter happens. It is true that conditions are improving day by day for their game in certain countries; Norway recently announced that the men's and women's football team are going to have equal pay which is an inspirational step towards the right direction and more countries should start seeing the light and adopt this plan. Little things like calling the men's World Cup as just the 'World Cup' and the women's one as 'Women's World Cup', should be eradicated and names for such tournaments should be selected so that it does not portray one gender's game as superior to another's. We have to take steps towards the development of the women's game not just for the cause of women's empowerment but also for the progress of the game.